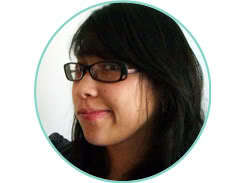 Well hello there! I’m excited to be sharing at Marissa’s lovely blog. I enjoy all the wonderful ideas that are created here! 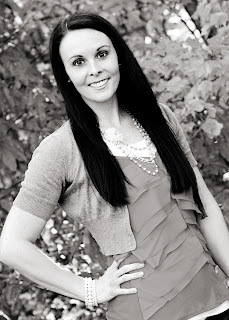 I’m Lindsay, a busy mom of three; the blog author of Southern Lovely. Over at my place you will find a variety of creations. 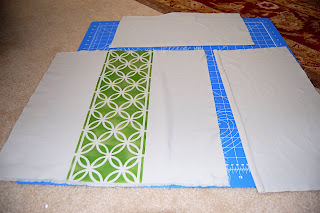 I love a good DIY, painting or sewing project. 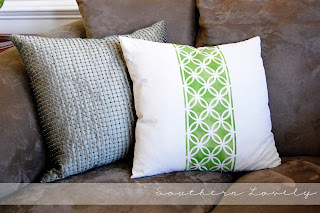 Today I am going to share an easy way to dress up an old pillow. My front room was in need of a change. 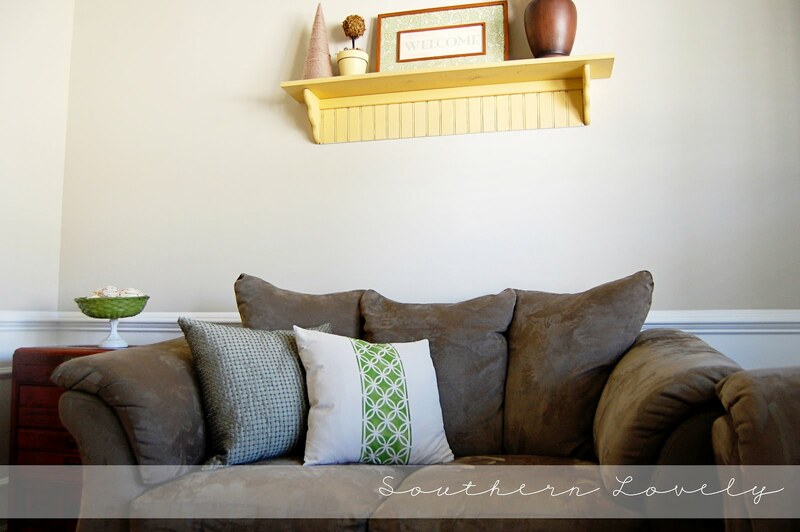 I had the same pillows for the past several years, so I knew that would be a great way to add color; spruce things up. 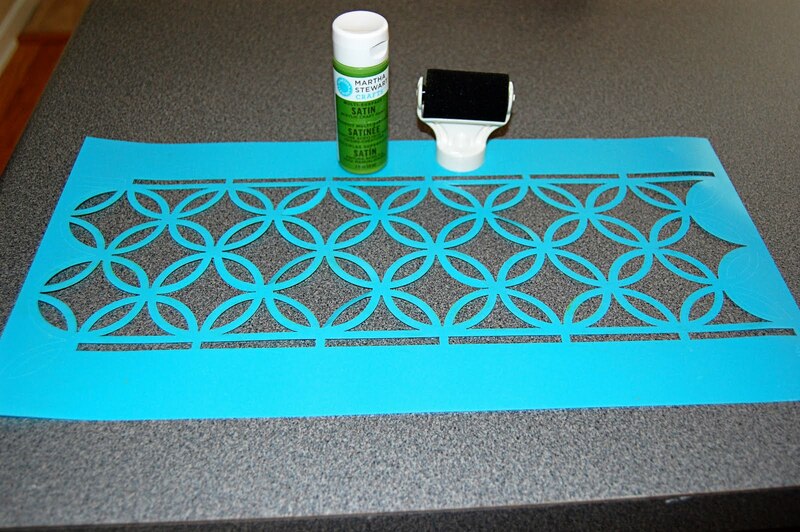 I could have easily purchased a new pillow for the space, but I decided to try stenciling my own. 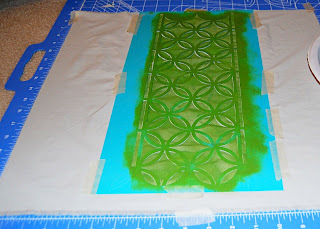 The stencil kit came with several other stencils, which I can’t wait to use. I actually used Marissa’s tutorial for recovering a pillow, since she did such an awesome job explaining it. To get started, I cut my fabric for the pillow cover. 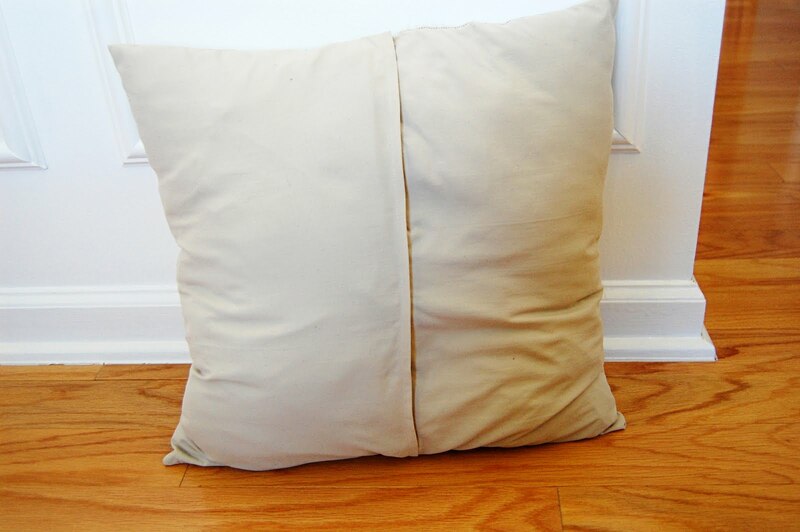 I used the pillow I was recovering as my size guide. I taped the stencil to the fabric, and lightly painted. 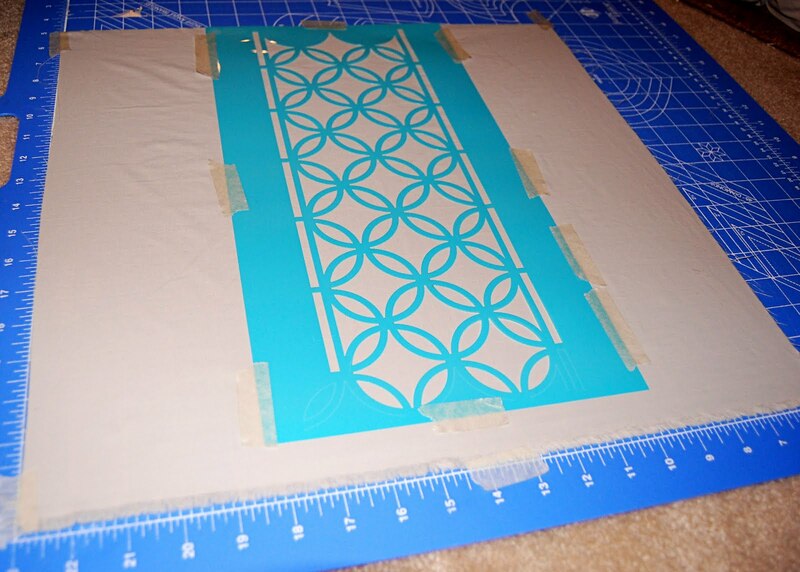 After it dried, I ironed over the stencil to make it set. Yep, it’s really that easy. Why have I not stenciled more until now?? 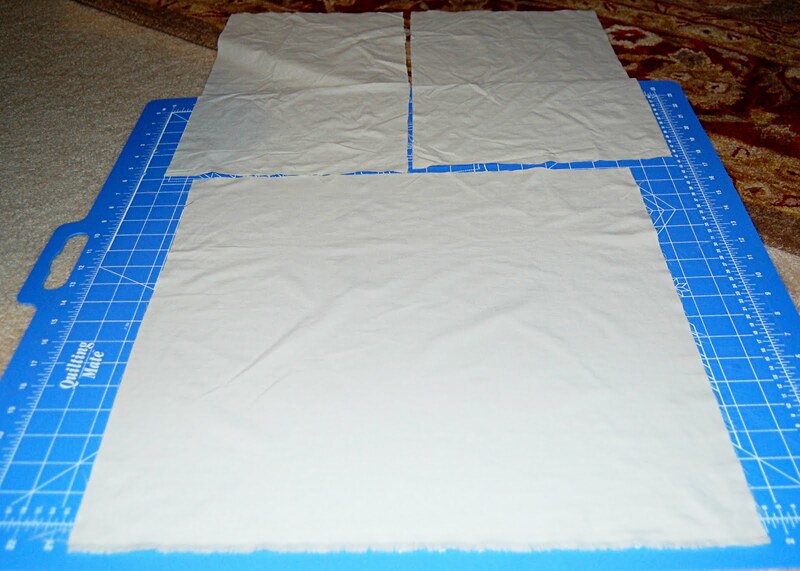 I stitched my fabric pieces together; created this cover. 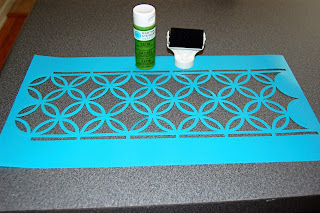 An easy way to freshen up an old pillow & add color to any room. Thanks so much for having me here today, Marissa!